Recieve Sample Food Events notifications direct to your inbox. 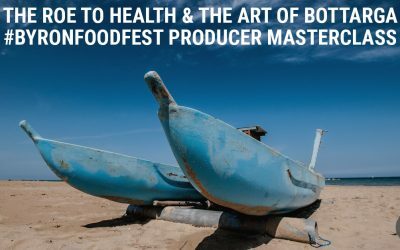 Throughout the day festival goers will be able to attend complimentary food and beverage masterclasses (register on the day, max 50 people per class) and enjoy a serious line up of live music. Saturday June 3rd, 2017. 11am till 7pm. Elements Byron Bay, Bayshore Drive, Byron Bay. Expereince signature tasting plates from 12 of the region’s best chefs. 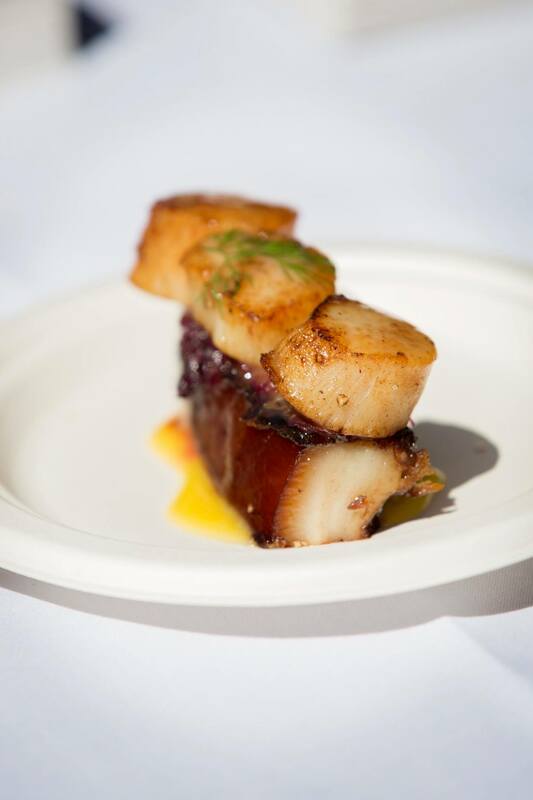 Attendees will be able to purchase and experience the dishes that most appeal to them. 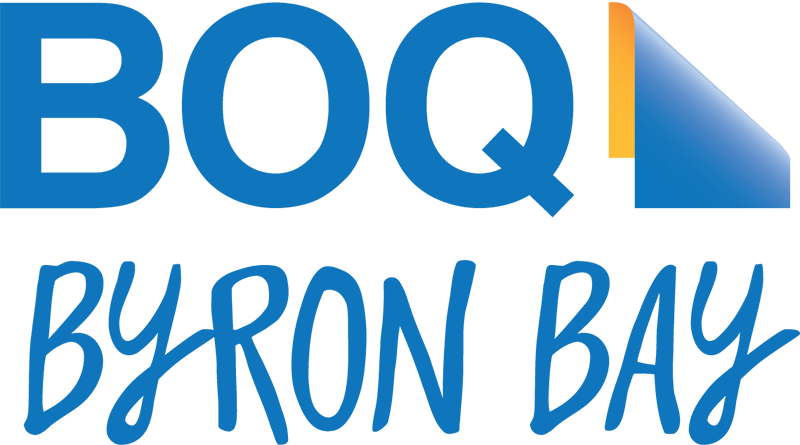 The festival will feature two Masterclass areas. The Plumm Beverage Masterclasses will be hosted by wine expert Jane Thomson (The Fabulous Ladies’ Wine Society). 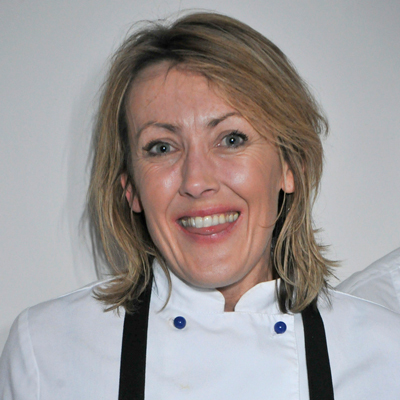 Artisan producers Masterclasses will be hosted by Kate Walsh (The Real Food Projects). To set the mood, live music. Meet the Chefs who will create unforgettable Signature Plates especially for the festival. Click here to see Sarah's Bio. Sarah Swan and Jeremy Burn are proud owners of 100 Mile Table in Byron Bay, a weekday café set in a light filled industrial space that has earned a reputation as a locals’ favourite. The simplicity of the setting belies the incredible food and service that is produced in the kitchen with a mantra to use as many local ingredients as possible. 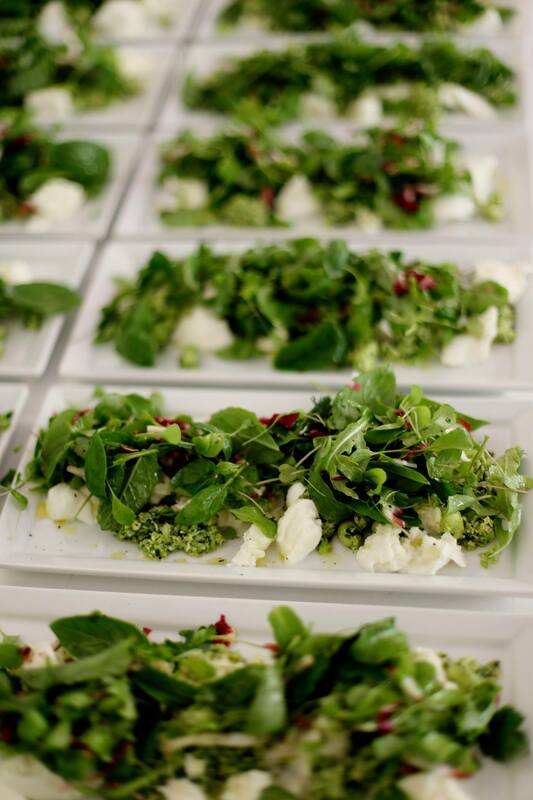 By night the space becomes a venue for themed pop up dinners that are always a sell out and seven days a week members of the 100 Mile Team team hit the road catering to a variety of events from prestigious corporate affairs to intimate dinner parties and stylish weddings. Sarah is a chef of more than 25 years with an impressive background working at Bayswater Brasserie and The Bathers’ Pavilion in Sydney followed by a 14-year stint with the Rockpool Group as a chef, in marketing, media liaison, website and social media management. In 2016, Sarah co-published The Australian Seafood Cookbook which has become the country’s most respected fish and seafood encyclopedia. Jeremy is well-known in Byron Bay as the King of front of house at 100 Mile Table. His warm and funny nature as host and Master of Ceremonies at 100 Mile Table events is indelible. His job is to ensure everyone is always enjoying themselves and he is exemplary at this. Both Sarah and Jeremy will be on board at the Festival coordinating the Chefs exhibiting and at the Friday evening Gala Dinner. 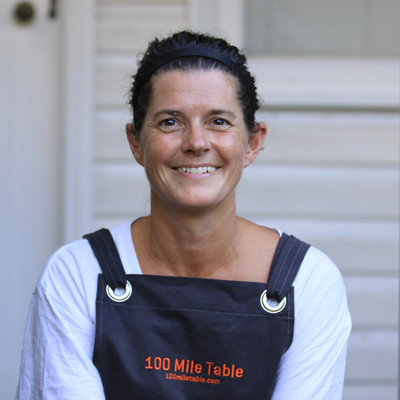 Signature dishes by 100 Mile Table include the Chicken and Ginger Congee served at the café and Slow Cooked Lamb with Agrodolce with Roasted Heads of Cauliflower for catered feasts. Click here to see Ben's Bio. 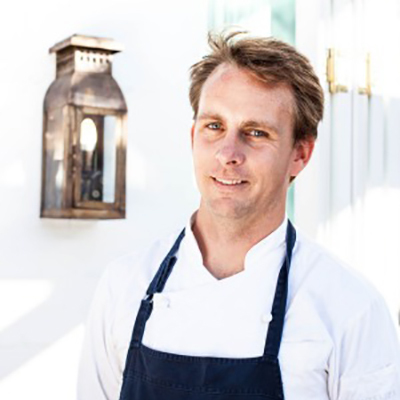 Raised in Byron Bay among a family of chefs and cooks, Ben Devlin is back on his home turf as Head Chef of the Sydney Morning Herald Good Food Guide’s NSW Regional Restaurant of the Year – Paper Daisy – located at the boutique Halcyon House hotel. Ben’s résumé reads a bit like a pedigree. 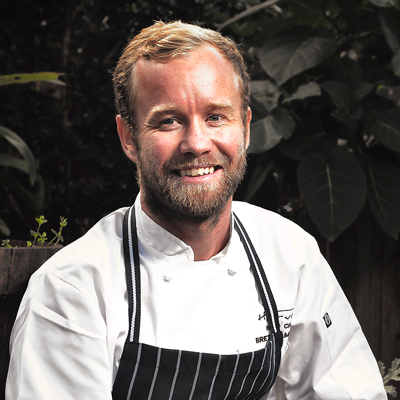 In 2014, he was named the Brisbane Good Food Guide’s Young Chef of the Year. 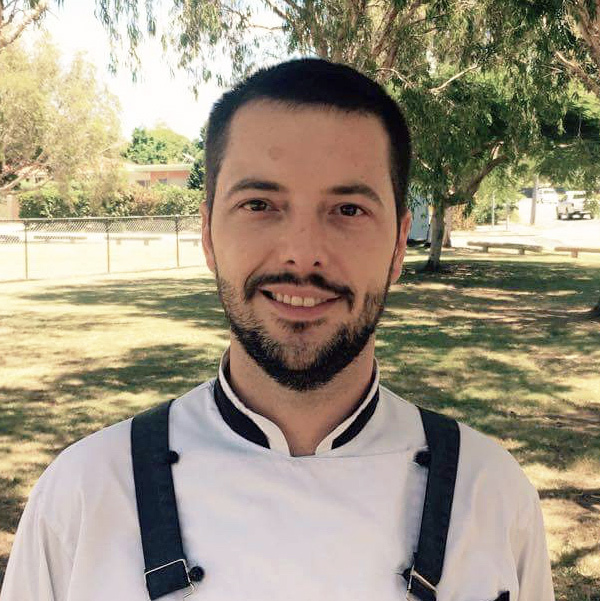 He held the role of chef de cuisine at Esquire for three years, during which time it was awarded three hats by the Brisbane Good Food Guide. He also spent a stint working for world acclaimed chef-owner René Redzepi at Noma in Copenhagen. 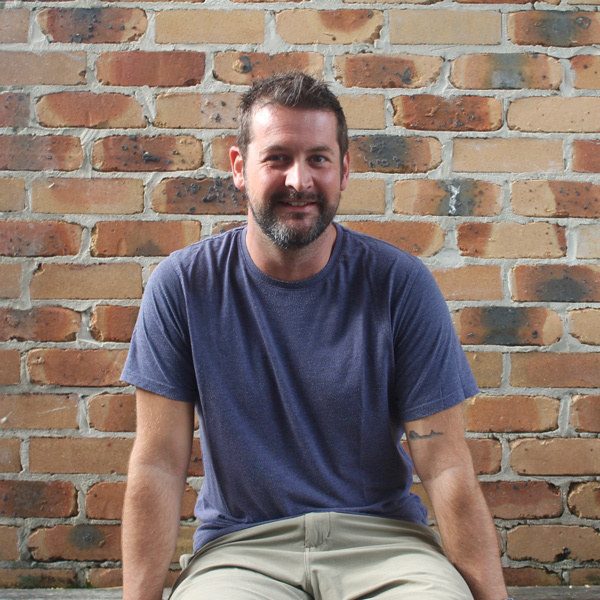 At the helm of the Paper Daisy kitchen, Ben expresses a sophisticated simplicity in his food that’s all about casual coastal dining showcasing our region’s unique produce. It’s where pasture meets the Pacific and local sub-tropical fruit orchards exist alongside the fertile hinterland and rainforest. The Paper Daisy menu also features fresh produce from the restaurant’s organic kitchen garden including native bush foods, greens and herbs. Signature dishes at Paper Daisy include Pipis with Lemon Myrtle, Butter and Warrigal Greens; Paper Bark Grilled Cod with White Onion and Seaweed and Blue Swimmer Crab with Soft Tofu, Citrus and Buckwheat. Click here to see Sean's Bio. Sean Connelly is one of Australia and New Zealand’s most respected and instantly recognised chefs with a wealth of experience that spans the globe. From his apprentice years at the Pennine Hilton in Leeds, to a stint in the kitchens of Cunard’s prestigious QE2, Sean’s formative cooking years marked him out for great things to come. His love for food had incredibly humble beginnings, as it was in his Grandma Esther’s West Yorkshire kitchen that he first learnt the joy of cooking. She taught him to be generous and imaginative and, most importantly, to make the kitchen a place of fun and warmth. These traits have stayed with Sean, imbuing everything he does with his trademark, easy-going style and “can-do” approach. Since making the move to Sydney from his native England in 1988, Sean’s star has continued to rise. 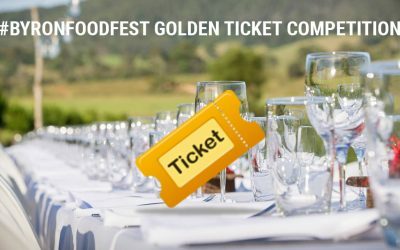 Starting with his position as executive chef at Astral restaurant in Sydney’s Star Casino and being named the Sydney Morning Herald’s Good Food Guide Chef of the Year in 2008. The Balcony Bar and Oyster Co. in Byron Bay opened its doors early in 2016 and continues to impress discerning local diners as well as the town’s constant stream of domestic and international visitors. Signature items on the menu at ‘The Balcony’ are Sean’s Chicken Lollipops, the Crispy Skinned Ocean Trout with Avocado, Cucumber, Watercress, Sea Vegetables and Japanese Sesame Dressing and the Oysters of course! Click here to see Simon's Bio. As a young student Simon landed a coveted position in Raymond Blanc’s two Michelin starred restaurant in Oxfordshire, England. Here his respect for food was ignited and his culinary journey really began. Simon then accepted a position as Chef De Partie at Escabesh within the immaculately restored Five Diamond rated (the highest possible rating for a restaurant) Prince of Wales Hotel in Niagara, Ontario Canada. California called and Simon headed to the Five Diamond rated Peninsular Beverly Hills Hotel, where he held the position of Restaurant Chef. The venue received rave reviews during his time there, climbing to the number one ranked hotel restaurant in California. In 2004 Simon returned to the UK where he was appointed Head Chef at Marco Pierre White’s infamous one Michelin starred London restaurant L’Escargot. He was then head hunted by various A-list celebrities and spent time as their Executive Chef aboard super yachts and within private villas around the world. Click here to see Neil's Bio. 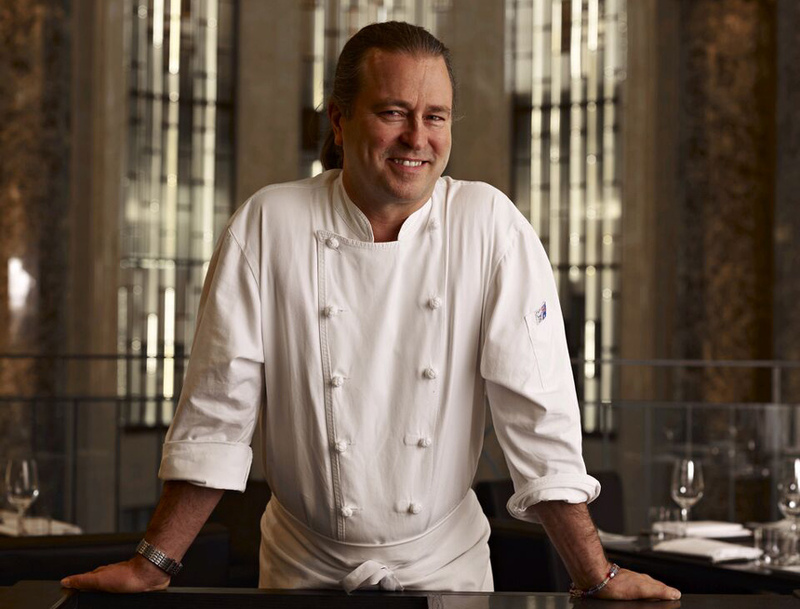 Neil Perry is one of Australia’s most well known and influential chefs. 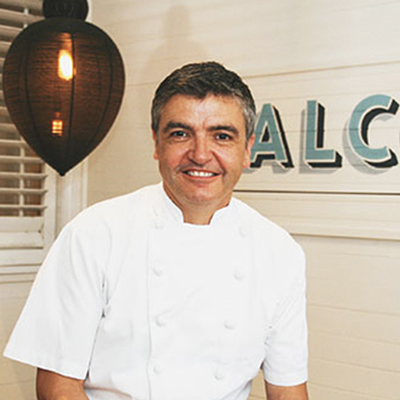 He runs Australia’s most awarded restaurant group, the Rockpool Group. All properties are in Gourmet Traveller’s Top 50 Restaurant list and have earned a staggering 15 Good Food Guide Chefs Hats between them. In addition to headed the team of consultants for QANTAS, Neil has authored 9 cookbooks and presented numerous TV series. Click here to see Monique's Bio. 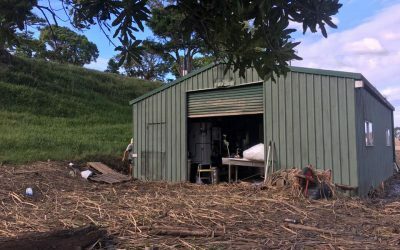 Monique Gutteres is the owner and chef at Seaweed Cuisine, a fully licensed wedding and event catering company based in Byron Bay. Monique’s passion for food began as a child. Her mother, who was born in Yokohama, Japan met her Portuguese father in Macau. For Monique, the family dinner table was always filled with a myriad of East and West cuisine combinations. Home was an exciting mixing pot from where her passion for food and cooking was born. Seaweed Cuisine reflects these childhood influences. 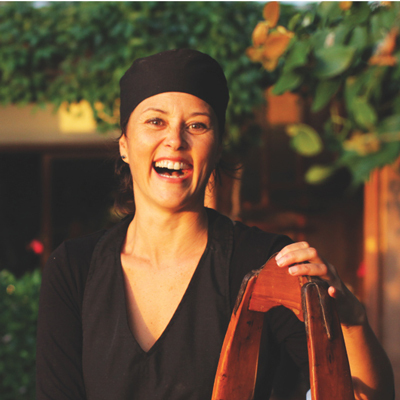 The business began in 2001 and since then Monique has earned a reputation for excellence among the local catering scene for her own distinct style and the way she can harmonise and balance global flavours. She uses hand-picked seasonal produce direct from local farmers and sources only the best fresh seafood caught daily from the clean waters nearby. Monique’s highly creative team of professional local staff shares her passion for fabulous food, wine and service and she is respected locally for her attention to detail and quality. Seaweed Cuisine has recently introduced the Seaweed Bar to the catering business. It’s a stylish mobile bar service with staff for any event to serve an array of drinks with the style and professionalism that is the trademark of Seaweed Cuisine. A Seaweed Cuisine signature canape is Monique’s Byron Bay Pork and Shitake Mushroom Pot Sticker with Shallot Soy Dipping Sauce. Click here to see Bret's Bio. Bret Cameron believes in food having a deeper meaning than just another item to consume – understanding seasonality, the provenance of ingredients and how they’re handled from the very beginning can be thought provoking, evocative and appealing to all the senses. And of course it must be delicious to eat! Born and raised in New Zealand, Bret’s love affair with food began, like many chefs’, at an early age. After finishing his apprenticeship, he hightailed it to mainland Australia for a little while, then off to London to earn his stripes at the Michelin-acclaimed Greenhouse Restaurant in Mayfair. After a few years, the lure of the surf saw Bret return to Australia where he ran kitchens at Bronte Swell in Sydney’s east and Dish in Byron Bay where the restaurant was awarded a Sydney Morning Herald Good Food Guide Chef’s Hat in 2010.The following year, Bret jumped at the opportunity to work directly with celebrated Sydney chef Colin Fassnidge in his flagship restaurant The Four in Hand. In 2014, Bret came back to the far north coast and Harvest in Newrybar where philosophies of local, organic produce and high sophistication meet. Try the Wild Harvest dinner menu at Harvest every Wednesday where Bret joins forces with Noah Kaufman (Head Chef) and Peter Hardwick (Forager) to present a selection of ideas and flavours after a day of foraging and developing a unique gastronomic journey that changes weekly. Click here to see Carlo's Bio. Born and raised in Italy, Carlo Magnabosco’s love for food started at an early age and his interest in cooking has taken him around the world. Carlo is a great new addition to Beach’s kitchen brigade, with his passion for creating beautiful food and his experience working in leading establishments in both Italy and Spain. Carlo comes to our restaurant from the highly acclaimed Cicchetti Byron Bay & Gold Coast, with a love of local, regional flavours. Working alongside head chef Enrico Semenzato, as our senior sous chef he is the perfect addition to Beach‘s talented team. Along with his understanding of Mediterranean cooking principals and his passion for using the freshest local produce that our region has to offer and to enhancing a unique and high quality Beach dining experience. Click here to see Katrina's Bio. 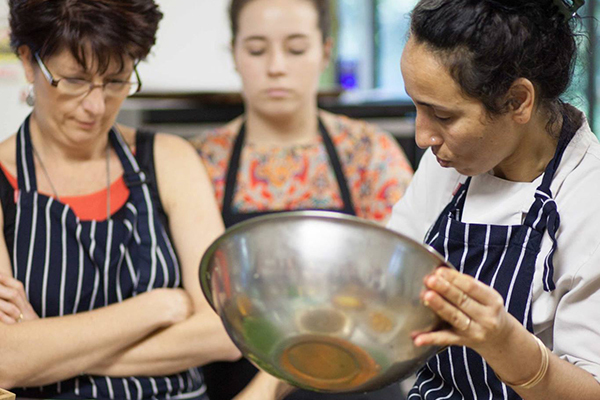 Katrina Kanetani has returned to the area having kick-started her career as an apprentice chef in Byron Bay. Along with her chef husband Karl, the pair presides over the charming TOWN Restaurant and Café in the hinterland village of Bangalow. By day, TOWN is a café serving breakfast and lunch seven days a week and by three nights a week the space upstairs becomes an intimate restaurant where seats are highly sought after. It’s no wonder as TOWN is a multi-award winning restaurant and has retained its Chef’s Hat in the Sydney Morning Herald Good Food Guide for the past six years. Katrina has enjoyed a career alongside a long list of acclaimed international chefs including Stefano Manfredi at Restaurant Manfredi and Peter Doyle at Cicada. She spent time in London and worked at Gordon Ramsay’s L’Oranger, at Marco Pierre White’s Quo Vidas and at Raymond Blanc’s Le Manoir aux Quat’ Saisons. She returned to Australia and became the pastry chef at Peter Doyle’s Pier in Sydney and it was during her five years there that she was awarded the Sydney Morning Herald Good Food Guide’s 2007 Chef of the Year. 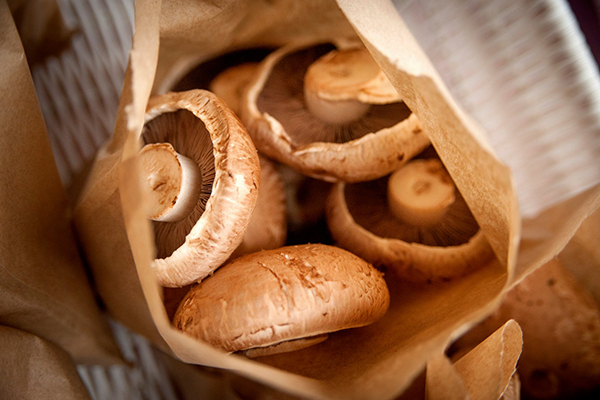 A big source of inspiration for the menu at TOWN is our region’s fresh, local produce, often brought to the café door from farmers eager to please. The dinner menu also draws inspiration from Karl’s Hawaiian and Japanese heritage. Signature dishes at TOWN naturally include anything from the dessert and savoury pastry menu and the degustation menu by evening. Click here to see Steven's Bio. 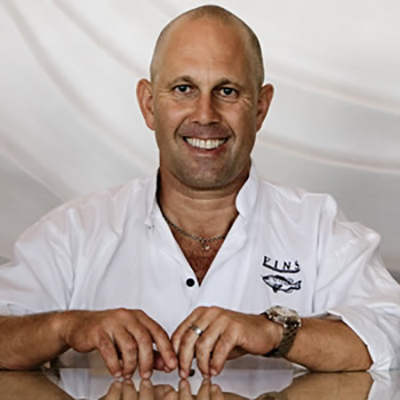 Steven Snow is the owner and chef at FINS, Australia’s most awarded regional restaurant. 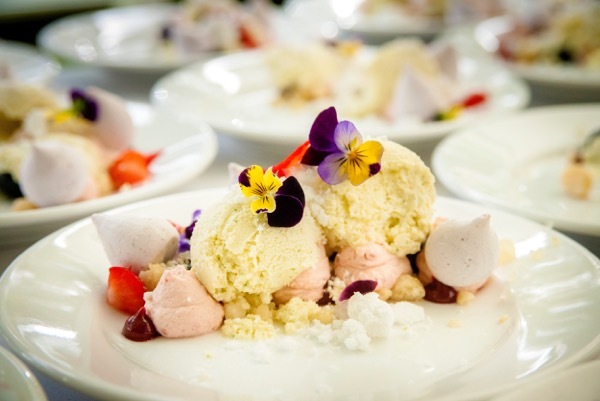 ‘Snowy’ as he is known by many, has successfully opened and relaunched more than a dozen restaurants in Australia and around the world. His flagship fine diner FINS has been ‘hatted’ restaurant in the Sydney Morning Herald Good Food Guide Awards for the past 19 years. Renowned as a dining destination, FINS has a philosophy centred around a commitment to organic produce and the very best local, line caught fish and seafood. In 2015, Snowy proudly achieved the award of ‘Most Sustainable Seafood Restaurant’ in the Sydney Morning Herald Good Food Guide. With his a background in business and law and ‘away from the pans’ Snowy regularly contributes stories as a food and travel writer for numerous glossy food magazines and national newspapers. He has also spent many years in restaurant consultancy. Snowy is the author of the best-selling cookbooks Byron Cooking and Eating and Cooking on the Coast. He was also the feature chef on Channel 7’s primetime lifestyle program Guide to the Good Life. Signature dishes at FINS include the Tian of Tuna Sashmi – Yellow Fin Tuna Sashimi, Tobiko Caviar, Avocado, White Miso, Shiso Cress and Dashi Rice Bubble and Snowy’s Fish with Riesling and Lemon Myrtle, Green Beans, Cauliflower Purée and local Kipfler Potatoes. Click here to see Gavin's Bio. 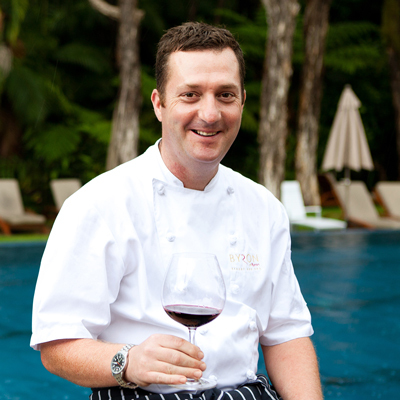 Gavin Hughes is Head Chef at The Byron at Byron Resort and Spa, a position he has held since the resort opened back in December 2004. Gavin is a true advocate of all things local, ensuring the restaurant adopts a paddock-to-plate philosophy. He uses regional produce wherever possible and is an honorary member of the Byron Farmers’ Market where you will find him every Thursday morning sharing the experience with resort guests. While at the Market, Gavin uses the opportunity to meet and chat with local growers and producers to choose the best seasonal produce to take back to the restaurant kitchen. Every Thursday night, he and his team produce a Farmers’ Market Dinner menu to showcase the best the region has to offer. A typical menu might include Cobia cured with Cape Byron Distillery Gin, Finger Lime, Lemon and Aspen Shallot followed by Daily fish from Freckles Seafood Market with Mussels, Leeks, Fennel and Saffron Broth, and the Rainforest Davidson Sour Plum, Davidson Plum Yoghurt, Pistachio Bavarois and plum coulis for dessert. Gavin’s local food focus also extends to a regular spot on ABC Radio where he shares his favourite recipes featuring seasonal ingredients sourced in the region. Click here to see Mark & Darren's Bio. Darren and Mark make up two fifths of the Three Blue Ducks. The pair met in the pressure-cooker kitchen of Tetsuya’s in Sydney, where Mark was undertaking an apprenticeship and Darren had just arrived from the UK. Darren had previously developed his cooking skills in kitchens around Kent and Sussex before hitting his stride at Michelin-starred Gravetye Manor, under Chef Mark Raffan. In 2001, he moved to Australia to work with Tetsuya Wakuda, eventually becoming head chef of Tetsuya’s for seven years. Mark was born in Goulburn. His first job was working for the highly-respected Klaus Hubert at JB Morgan doing boardroom lunches, where he was soon named Apprentice of the Year. He subsequently took on an apprenticeship at Tetsuya’s before spreading his wings and working abroad for seven years travelling and cooking in the surfing hotspots of Europe and North Africa. In 2010 Darren began The Table Sessions, a ‘guerrilla dining’ organisation that ran pop-up dinners in warehouses, parks, beaches, gardens, rooftops, galleries and theatres as well as cafés and restaurants. 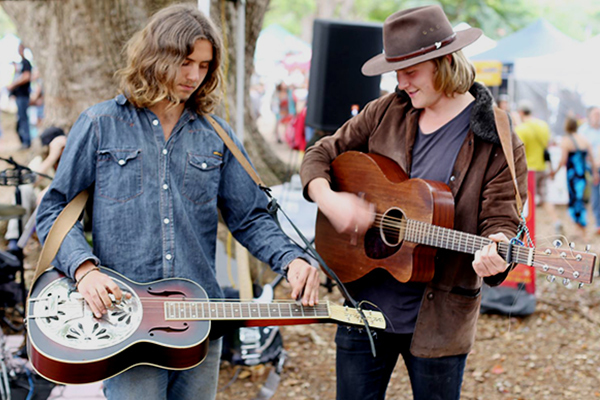 At the same time, Mark had returned to Australia and opened the first Three Blue Ducks café in an old chicken shop in Bronte with some friends. In 2011 Darren officially joined ‘The Ducks’ and the rest is history. 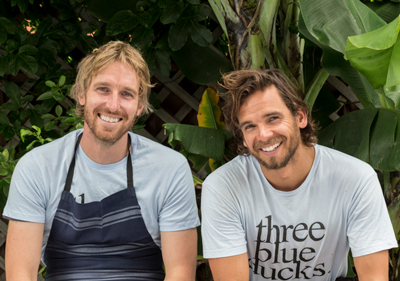 The Three Blue Ducks now have establishments in Bronte, Rosebery and at The Farm here in Byron Bay where they live and breathe the farm to plate philosophy. They are famous for their home-grown pasture-raised roast pig cooked over coals and served with fresh produce grown in The Farm’s market garden. Learn from the experts how to prepare and serve the finest of foods and beveages. More details coming soon. 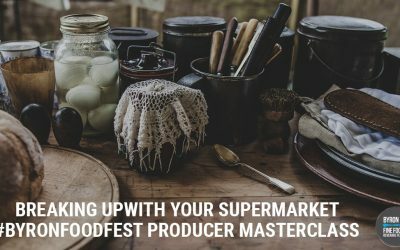 The Producer Masterclasses Marquee will be hosted by Kate Walsh of Real Food Projects and will reveal the story behind your food with some of Australia’s finest artisan producers. Author of cookbook Real Food Projects, Kate Walsh will show you how easy it is to overhaul your pantry and start cooking your staples from scratch. She’ll show you how easy it is to make pickles, easy no knead bread and macadamia chocolate butter (otherwise known as nutella!). With these basic skills you will be well on your way to transforming your kitchen and kick your supermarket habit forever. 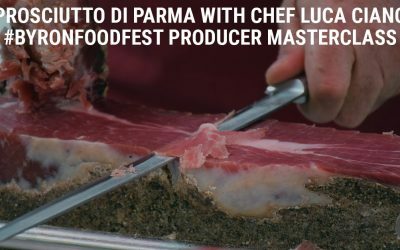 In this masterclass you will take a journey through the making of Prosciutto and taste the differences between 12 – 36 month aged. You will learn the history and region of Parma Ham production are what sets it apart from other prosciuttos in the world. Luca will share some tips and secrets on the history of Prosciutto di Parma. 1:30 – 2:10: Churn Some Butter with Pepe Saya! 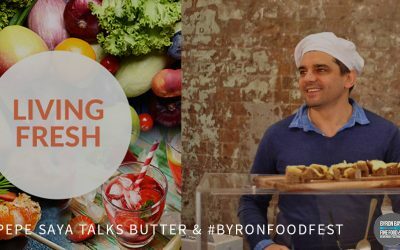 Join master butter maker Pepe Saya as he talks you through the process of making butter from scratch. With loads of tastings of real butter, buttermilk and cream and hands on butter making, this is a masterclass not to miss! Learn about the infinite variety of salts with Olsson Salts. This family owned company makes the salts you’ll find in all the best Australian restaurants. From hand harvested macrobiotic salts, to sea salt and table salt, you’ll never see salt the same way again. The masterclass is concluded with a delicious salt tasting experience using some unusual food pairings with some of the speciality sea salts made by Olsson’s: fleur de sel, Macrobiotic sea salt, smoked salt, truffle salt. Join Ian Henderson from award winning vinegar makers LíráH and discover how to make one of the most ancient of ingredients – vingear. We’ll have a taste of new world and old world vinegars and have a lively conversation about the vinegars you find on your supermarket shelves. Join Richard from Mount Zero Olives and hear about his family owned olive grove three hours west of Melbourne on the northern edge of the Grampians National Park in Victoria. You’ll learn about how olives are grown, and made into beautiful olive oil and table olives along with tastings of both the new season olive oil (harvest only days before) and some delicious olive leaf tea. 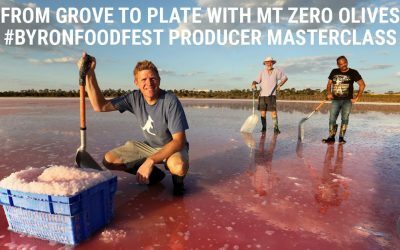 You’ll also hear the story behind most inspiring hand harvested pink salt Mount Zero produces in collaboration with the indigenous custodians in their region, The Barenji Gadjin Land Council. 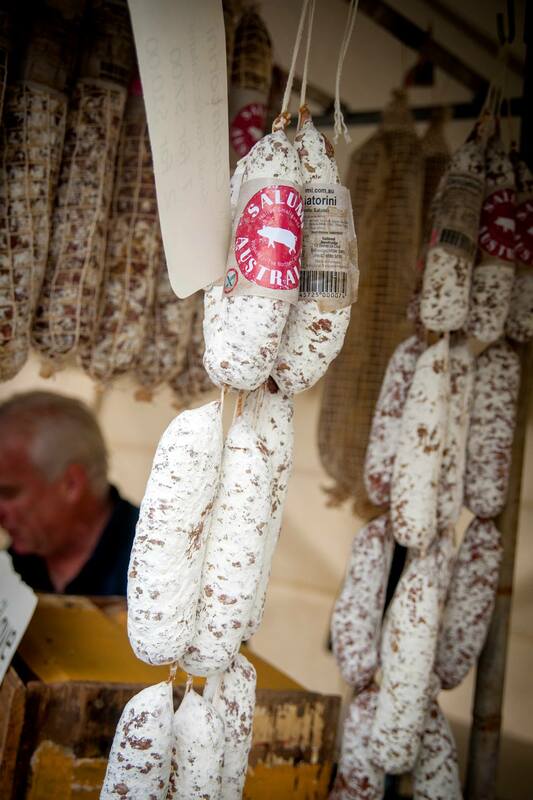 We’ll be joined by Michael & Massimo from Salumi/Bottarga Australia who together make the region’s finest Bottarga to talk through this fascinating process and have a taste of this amazing locally made delicacy. The Plumm Beverage Masterclasse Marquee will be hosted by Jane Thomson of the Fabulous Ladies Wine Society. 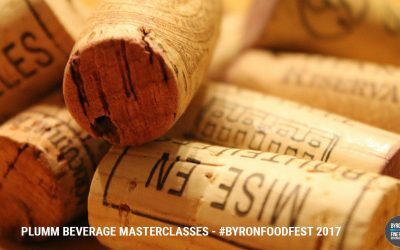 All Beverage Masterclasses are limited to 48 people and can be registered for at the Marquee on the day. Eddie from Cape Byron Distillery and Harriet from Husk Distillers talk all things gin. They’ll be mixing up simple stunning favourites that you can try at home. Step beyond the world of Shiraz and Chardonnay to discover some of the many alternative varieties being produced in Australia. Pizzini are famous for their delicious Italian varietals, while Artwine have a cabinet full of trophies for their global alternative wines. You may just discover your next favourite wine right here. Two of the most famous South Australian wine regions go head to head in a battle of the wines. Which team will reign supreme? Representing the grand old traditions of the Barossa is second generation family winery Schild Estate, while serving it up for Coonawarra are new-kids-on-the-block Raidis Estate. When vineyards meet the beach you get wines with a strong maritime influence. What does that taste like in the glass? And what challenges does a seaside location create? Voyager Estate hail from Margaret River in Western Australia while Jack Rabbit cling to the coast of the Bellarine Peninsula in Victoria. Both produce exceptional wines of very different style. Australia’s oldest wine region is still one of the best, and collectors around the world still clamour to get their hands on searingly fresh Hunter Valley Semillon and peppery Hunter Shiraz. Mistletoe Wines and Saddler’s Creek will show you just how different these styles can be from within the one region. Cool cats know that the coolest wines come from the coldest regions. Adding a refined elegance and sophistication that only the most frost bitten mornings can bring, we’ll be looking at wines from Paracombe in the Adelaide Hills and Rowlee from Orange in central NSW. McLaren Vale is world famous for its big, juicy reds so we’ll be taking a closer look at the two varieties they do best – Shiraz and Grenache. Lost Buoy are taking up the Grenache mantle to show just how delicious and food friendly this wine can be, while Penny’s Hill are showcasing two of their classic Shiraz. 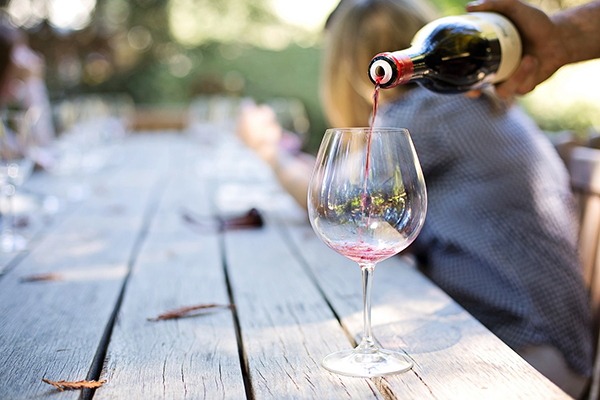 A must-do class for all red wine lovers! This exciting event is made possible by these wonderful businesses. 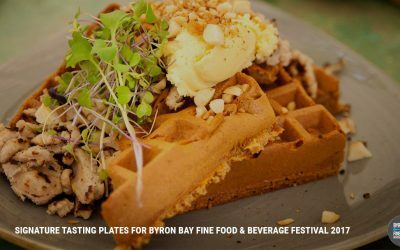 Our 2017 festival is being held at the luxurious Elements of Byron Resort. Our exhibitors and entertainers will be scattered in a parkland setting, just a stones throw from the Pacific Ocean.